The author of On Vaccines, Adjuvants and Autoimmunity, Christina England fears that doctors have little idea who is likely to suffer a vaccine injury or even why they occur. Nor do they know what effect vaccines have on the immune system. It would seem fairly obvious that there must be a link for in the words of the World Health Organisation a vaccine stimulates the immune system to recognize the agent as foreign, destroy it, and ‘remember’. The Australasian society of clinical immunology and allergy define autoimmune diseases as a broad range of related diseases in which a person’s immune system produces an inappropriate response against its own cells, tissues and/or organs, resulting in inflammation and damage. There are over eighty different autoimmune diseases with some affecting just one part of the body such as Type 1 diabetes and multiple sclerosis, and others affecting multiple organs and tissues such as rheumatoid arthritis and systemic lupus erythematous (SLE). The reports of adverse events seen in girls and boys after having been given Gardasil vaccination number well over 76000 and include all kinds of autoimmune diseases including Type 1 diabetes, thyroid disorders, arthritis, lupus and gastrointestinal disorders. The authors of a study called Vaccines, adjuvants and autoimmunity have found that Vaccines and autoimmunity are linked fields. They report that: Vaccines are able to elicit the immune system towards an autoimmune reaction. It is vital that we understand the part that vaccines such as Gardasil play in the development of autoimmune diseases for they are increasing all over the globe and currently affect one in five Americans. In the study the immunologists have reviewed cases of ‘vaccine-induced immunity’ explaining the process as Autoimmune Syndrome Induced by Adjuvants. Adjuvants are added to vaccines in order to stimulate the immune system to produce antibodies but in some people they cause immune reactions and symptoms that manifest as autoimmune disease. The heavy metal aluminium is used as an adjuvent in Gardasil. Two hundred and twenty-five micrograms of amorphous aluminum hydroxyphosphate sulfate (AAHS) are added to each of the three shots of the vaccine. The latest HPV vaccine Gardasil 9 contains 500 micrograms of (AAHS) which is given as two or three shots. Amorphous aluminum hydroxyphosphate sulfate has been found to produce more antibodies and a prolonged antibody level. And there’s more to be learnt about the development of autoimmunity. Norma Erickson explains the process of molecular mimicry as it applies to Gardasil in a presentation Humphries/Erickson – What Biologically Plausible Mechanisms of Action are Health Agencies Ignoring? We all have proteins in our bodies and within these proteins there are 82 peptides. One of the antigens in Gardasil is the HPV 16 LI protein which almost identically matches 34 of these peptides. The importance of this information is that as Erickson explains: ‘It is extremely possible that when you develop an antibody to the HPV 16 protein you are also developing an antibody reaction to your own system in multiple locations. The number of viral matches and locations makes the occurrence of autoimmune cross reactions in the human body following HPV 16 vaccination almost unavoidable’. We live in a toxic world, one in which HPV vaccines are given to young people some who may already be dealing with compromised immune systems. The vaccine continues to be given despite the thousands of reports of ill health occurring in many young girls and boys who have had this vaccine. Medwatch Japan reports that Gardasil has 26 times the amount of adverse events than occur after the influenza shot. 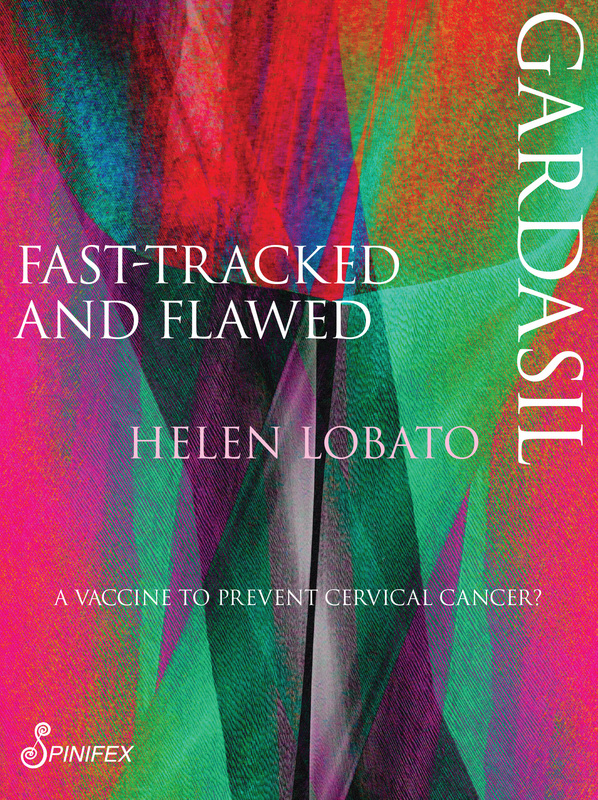 The story of Gardasil begins with the history of cervical cancer which is explored in Gardasil: Fast – Tracked and Flawed. Cervical cancer rose from a disease of obscurity to one of mainstream prominence. Gardasil was fast-tracked through the FDA, a process usually reserved for life threatening diseases to fill an unmet and urgent medical need. There was no unmet need for Pap smear programs and improved living conditions in developed nations had already reduced cervical cancer incidence and mortality markedly. Opposition to this vaccination program continues to grow and hopefully it is only a matter of time before the health authorities put a stop to it.